Your Welcome to the World of AdsClinic Internet Marketing... 1)Transational route- DND&NonDND Bulk SMS all india @ 13-16 Paisa/SMS with SenderID,,24x7 services ... 2)Promotionnal route- NON DND PROMOTIONAL @10-13P/SMS timing 9am-9pm... 3)SHORT CODE SERVICES- 56161(for 1 YR)= Rs.10,000.Rs and 56767(for 1 YR)= Rs.12,000.. 4)Missed Call SERVICES-(for 6 mnt. )= Rs.7,000 and (for 1 YR)= Rs.10,000.Rs.. Introducing the MTNL/AIRTEL/AIRCEL/VODAFONE/IDEA Route for DND&Non NDN.. Optim & Tamplate base SMS Avail. DND auto Fiter nd 100% Delivery and Result Orianted.. To book your order Mail us- adsclinicdelhi@gmail.com or call us +(91)-95-4050-5454. Franchise of Ads Clinic internet Marketing. We Won’t Just Show You How to Market Your Franchise… We’ll Help You Grow Your Business. We know that it’s hard to work on your franchise when most of your time is spent working in it. And while having a largely known franchise name behind you does provide some credibility and trust, it’s your efforts at the local level that will increase leads, build your customer base and grow your business. With our winning strategies and marketing expertise, we won’t just show you how to market your franchise; we’ll build an innovative plan that’s based upon your strengths, values and goals. We help our clients by providing Best award winning solutions, that’s know how! We have three model types Franchise Opportunity. 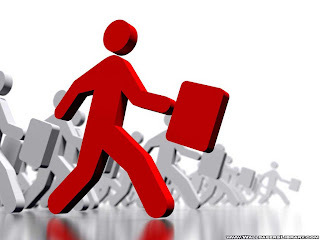 1) Franchise for Freelancer only in 40,000 Rs. 2) Mini-Franchise for Small investment only in Rs. 1 Lakh. 3) Franchise for Coporates for Big income for Lifetime in Rs 3 lakh. We @ Ads Clinic is an one of the india’s Growing Company in Mobile Marketing & internet Marketing. We serve in Advertising industries from 2006 nd in Mobile & Internet Marketing from Last 3years. Our main motive is to provide one of the best service for our Valuable Customer quality rated / price rated @ their doorstep. We believe in quality services either it will be high rate. We don't believe in gathering of customer, we have quality rated customer, who are 100% satisfied with our services. Bulk SMS Gateway, Bulk WhatsApp Marketing, Data Base all India(Exclusive in Delhi&NCR), Bulk E-Mail, Short Code, Missed Call Services, Voice Call, Click 2 Call, IVR-Solution, Toll Free No.,Web-Blogs Designing, Digital-Marketing also Electronic Media Marketing. AdsClinic is a largest company which provides a Bulk Sms Gateway and Bulk Email Marketing solutions. Bulk sms is a tool through which advertiser can target and promote their products or services to a larger audience in a short span of time. AdsClinic provides a cost effective and fastest delivery of Bulk Sms marketing and Bulk email marketing in delhi/ncr ana across in india. AdsClinic is based at New Delhi, Delhi,India. AdsClinic is a leading bulk sms marketing company in Delhi. AdsClinic offers best rate for Promotional and Transactional SMS services in Delhi & other parts of country. If you are looking for a professional company, 100% Delivery and quality service then AdsClinic is the best place to buy quality Bulk SMs Marketing Service. 1. Promotional Bulk SMS: Promotional Message means SMS which contains any promotional material or advertisement of a particular product or service. 2. 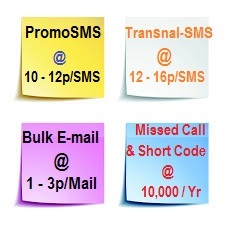 Transactional SMS: Transactional SMS is used to send the information. For example: Companies used this service to pass the information to their employees. Rohini, Pitampura ,Punjabi Bagh, Rani Bagh, Mangolpuri, Shalimar Bagh, Lawrence Road, Wazirpur, Rajouri Garden, Uttam Nagar, Vikaspuri, Janakpuri, Subhash Nagar, Tilak Nagar, Shastri Nagar, Tri Nagar, Karol Bagh, Patel Nagar, Naraini, Rajendra Place, Azadpur, Model Town, Rithala, Kashmiri Gate, Chandni Chowk, Daryaganj, Paharganj, Jhandewalan, Laxmi Nagar, Nirman Vihar, Preet Vihar, Mayur Vihar, Patparganj, Shahdara, Vishwas Nagar, Loni, Krishna Nagar, Karkardooma, Dilshad garden, Lajpat Nagar, Kalkaji, Greater Kailash, Defence Colony, New friends colony, Khanpur, Saket, Mehrauli, East of Kailash, Nehru Place, Kailash Colony, Okhla, Mohan Cooperative, Badarpur, Sarita Vihar, Kalindi Kunj, Khan Market, Sarojini Nagar, INA, Dwarka, Mundka, Bahadurgarh, Paschim Vihar, Prashant Vihar, Peeragarhi, Nangloi, Sangam vihar, Ajad Pur, Model town, Mukherji nagar, Sant nagar, Adarsh nagar, Kamla Nagar, Sakti nagar, Sarojni nagar, Jwalaheri Market, Bawana, Narela, Shadipur, Patel nagar, Moti Nagar, Rajendra nagar, Kirti nagar, Tagore garden, Ramesh nagar, Shubhash nagar, Hari Nagar Ghanta ghar, Najafgarh, Connaught Place, Barah khamba, Delhi university, Vasant vihat, Vasant kunj, Mahipalpur, Safdarjung enclave, Green park, Saket, Malviya nagar, Hauzkhas, Chhatarpur, Munirka, Narela, Bawana industrial area, Anand Parvat,Parparganj industrial area. Delhi, Haryana, Punjab, Uttar Pradesh, Rajasthan, Uttrakhand, Gujarat, Uttaranchal, Himachal, Jammu & Kashmir, Madhya Pradesh, Andhra Pradesh, Kerala, Tamilnadu, Kolkata, Delhi, Karnataka, Telangana, Gujarat, Tamil Nadu, West Bengal, Maharashtra, Rajasthan, Uttar Pradesh, Madhya Pradesh, Andhra Pradesh, Bihar, Punjab, Haryana, Jammu and Kashmir, Jharkhand, Chhattisgarh, Assam, Chandigarh, Orissa, Kerala, Uttarakhand, Tripura, Puducherry, Mizoram, Manipur etc. Copyright © 2009-2015 Ads Clinic. Site manage By Ads Clinic internet marketing. Make A Payment - Pay Now.